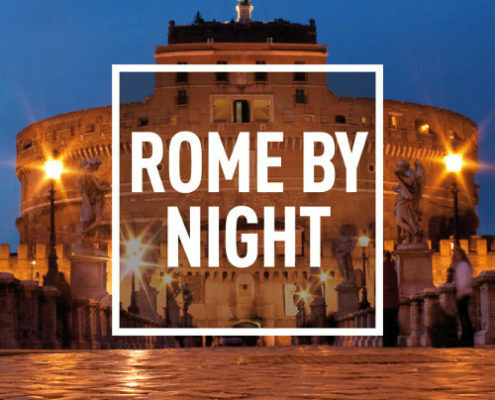 Highlights: Discover the Eternal City and its world famous sights by night. See architecture of over 2,000 years shining in incredible illumination! 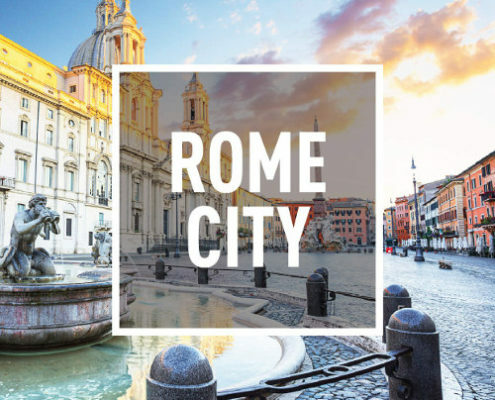 Highlights: Explore the hills of Rome and enjoy a magnificent views overlooking the Eternal City from the Janiculum, Avenine and Capitoline Hill. No doubt – Best bike tour ever!!! The best way to see the Appian Way! Book Your Rome E-Bike Tour In English Now! 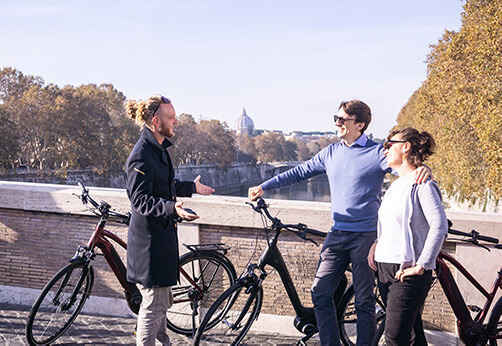 By joining our E-bike tours you will be able to explore many of Rome’s famous monuments and hills without being exhausted. 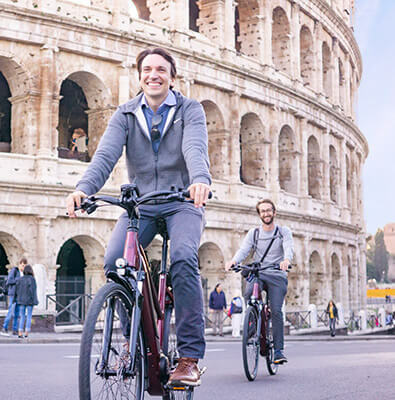 Our state-of-the-art electric bicycles allow you to see more of Rome than you would be able to cover by foot. Discover the historic center during the day or in the golden hour during our Night tour. 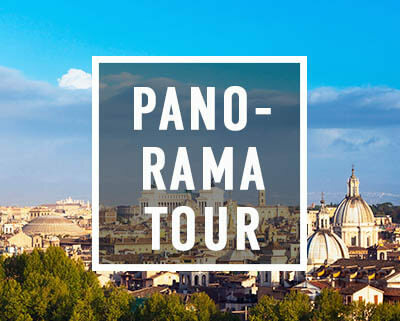 For breathtaking views join our Panoramic tour. Each E-bike excursion offered by Rex Tours is an unforgettable family experience. Thanks to our small group policy we can take care of of each of our guests and can take enough time to take pictures and answer ally our questions. Local English speaking tour guides know the city like the back of their hand and will show you the Eternal city with fun and expertise! All our Rome bike tours can be booked as a private tour. Our e-bike tours are perfect for families! Your kids will love our modern bikes and funny tour guides. Please let us know via email if you plan to bring children who are younger than 10 years old. Before each tour we will have a short training session to ensure all participants feel confident using the electronic bikes and are ready to go. According to our policy we put quality before quantity. Like this we make sure that our guests have plenty of time to ask questions and stop for taking photographs during the tour. If you prefer an even more personal experience, you can book all our tours as private tours as well. Book two tours with Rex-Tours and save 10% of the full amount. 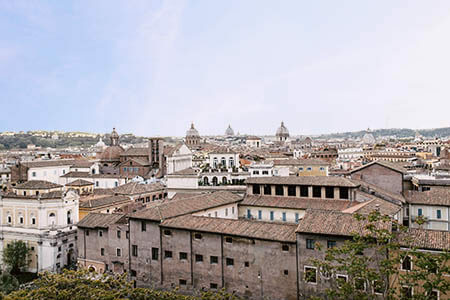 This is a wonderful opportunity to see as much as possible of Rome, exploring the city during our various tours. All of our bike tours can be also combined with Segway tours or our Food tour. Don’t miss out! All our Rome e-bike tours include the e-bike, helmet, insurance, tour guide and a 0.5 l bottle of mineral water for each participant. The transport to the meeting point in Vicolo dei Venti 9 is not included in the tour price. You will be provided with detailed directions to our shop. Our tours will take place in case of light rain. We will provide all our guests with plastic ponchos. In case of heavy rain we will postpone your tour if possible. Otherwise we will reimburse your eventual down payments. We recommend you to contact us via email or give us a short call in case of bad weather forecast on the day of your tour. In case of unforeseen circumstances we offer you the possibility to cancel your tour within a period of up to 48 hours in advance without additional fees. In this case we will reimburse any already paid amounts. After the expiry of this time limit we will not be able to reimburse you for amounts paid in advance. 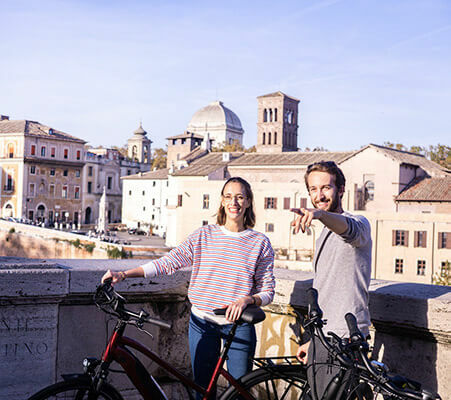 Book Your Rome E-Bike Tour Now! Are Rex-Tours Bike Tours appropriate for families? Bike About tours are a great way for families to experience the Rome landscape together, and we know kids will love our cool bikes and fun guides. We are also offering special Family Tours, which are especially designed for families traveling together. If you have children younger than age 10, please do us a favor and let us know by email. Be aware that we do not enter monuments or sights due to time restrictions, waiting lines, closing days and entrance tickets. Our bike tours do take you to all the sights, but there are so many that we can only give you an overview. If you want to take a closer look inside e.g. the Colosseum or Roman Forum, please do plan another visit there. We strongly recommend to make a reservation, especially if you are traveling with children or a large group so that we can have the necessary number of bikes and guides prepared. We give priority to our reserved guests and may not be able to accommodate walk-ins. Are the tours cancelled in case of rain? In case of slight rain our tours are operated. We have ponchos available in our office for anyone that needs them. We encourage all guests to look at the forecasted weather and plan how to dress accordingly. In case of heavy rain, we will reschedule the tours, if possible. Otherwise, we will refund the advanced payment to our guests. How many people are on our tours? We think it’s important to keep our groups small (usually no more than 8 people to 1 guide), in order to give travelers the best tour service in the city, with the best value. We are not a tourist processing plant. We care. Ohhh! you can feel the love!! But seriously, this way we are able to answer questions, tell stories, and get to know our customers better than most other companies. What are the seasonal open dates of Rex Bike Tours? We are open every day of the year except December 25th, 31st and January 1st). We have a limited schedule on Liberation Day (April 25th) and Festa della Repubblica Parade (June 2nd). We offer 100% refunds on all Bike tours if the reservation is cancelled more than 48 hours (2 days) before the scheduled tour. We do not offer refunds for any reason once we are within 48 hours of the scheduled tour. Is it possible to mix a regular bike and e-bike tour?